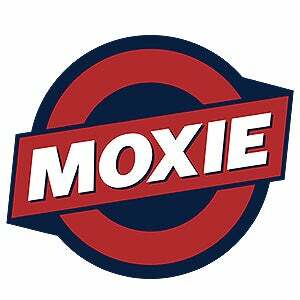 Founded in 2015, Moxie specializes in extracts, the concentrated and purified active ingredients that provide the characteristic flavor and effect of the cannabis plant. Its premium-quality cannabis-concentrate products are often used medicinally by patients who require an alternative means of consumption to smoking. The biggest misconception about the cannabis industry is how easy it is. Operating cannabis businesses involves hyper-complexities akin to the pharmaceutical industry, healthcare, alcohol, energy, politics, and much more. Most perceive that this business is as simple as planting some seeds in the ground, but it is far far more than that. Moxie continues to drive innovation through technology, research, and close partnerships with regulatory and legislative authorities. Innovation isn't just about making the latest and greatest products, but about ensuring those products and processes can actually withstand the most highly regulated markets of any commodity globally. Finding partners with true value is difficult. With a nascent industry like cannabis, many opportunists without much to contribute cloud the waters. Building and scaling a commodity-based business on the backs of a patient-based grass roots movement is not for the faint of heart. Seeing the remarkable change that cannabis can bring to people's lives. Be it directly in the health benefits that a patient may experience to the revitalization of a community that the economic growth can bring. The future. This is still just the very beginning. The hardest times for the industry are still ahead of it as it reaches adolescence and the real-world realities of globalization, the introduction of public capital markets, and the ultimate corporatization of the industry. But these are also signs of how great the industry will become. The benefits that a scaled cannabis company can bring to the world is truly limitless and awe-inspiring.